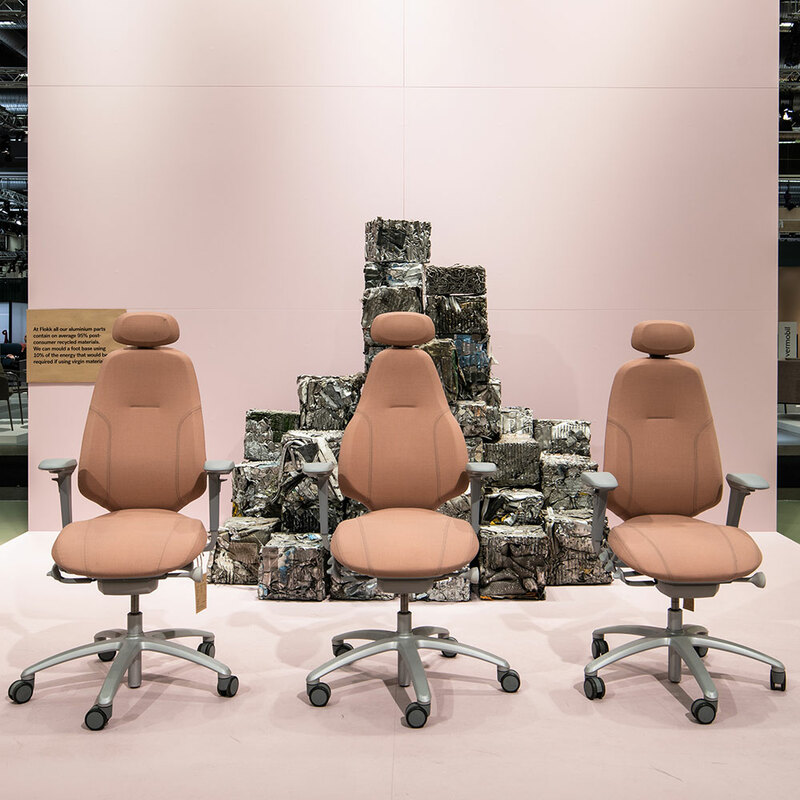 At this year’s Stockholm Furniture Fair, we offered visitors a unique glimpse into the world of sustainable design, and unveiled for the very first time, a brand new design update on one of our bestselling chairs. 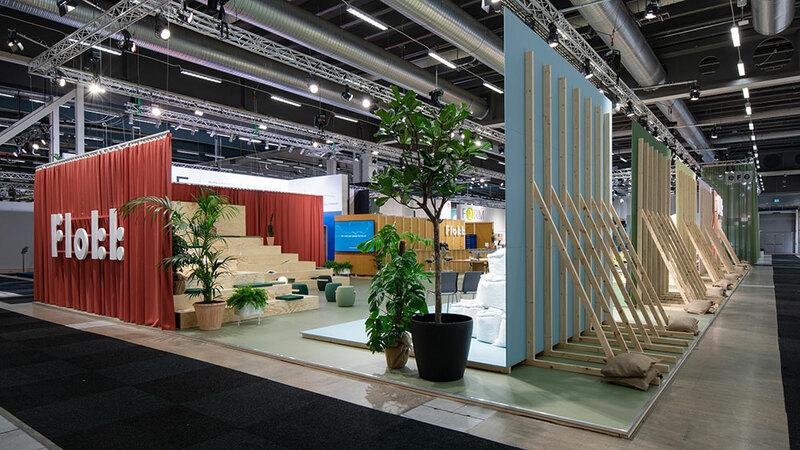 Working with designers Hunting & Narud, we created our most conceptual design fair stand to date, using raw materials and story-boarded displays to provide a rare insight into the thoughts and challenges faced by designers when it comes to sustainable furniture design. 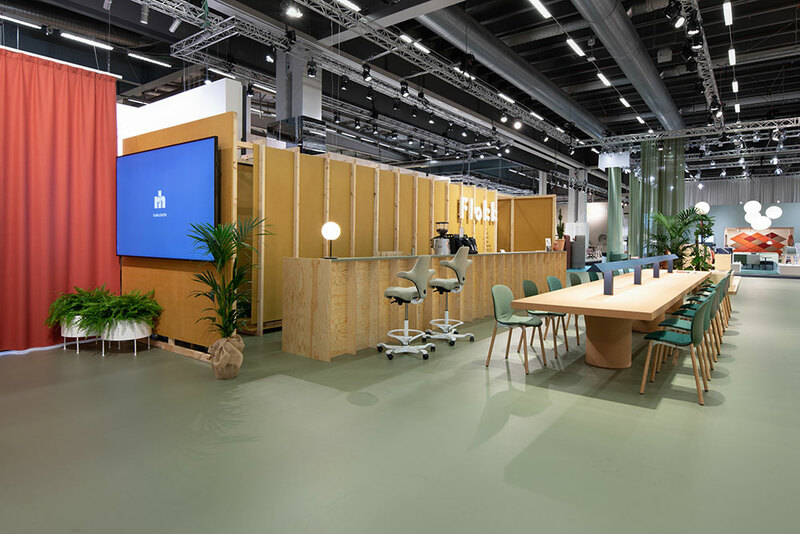 “There are a lot of untold stories within Flokk and we wanted to turn some of them into physical concepts for this year’s fair. 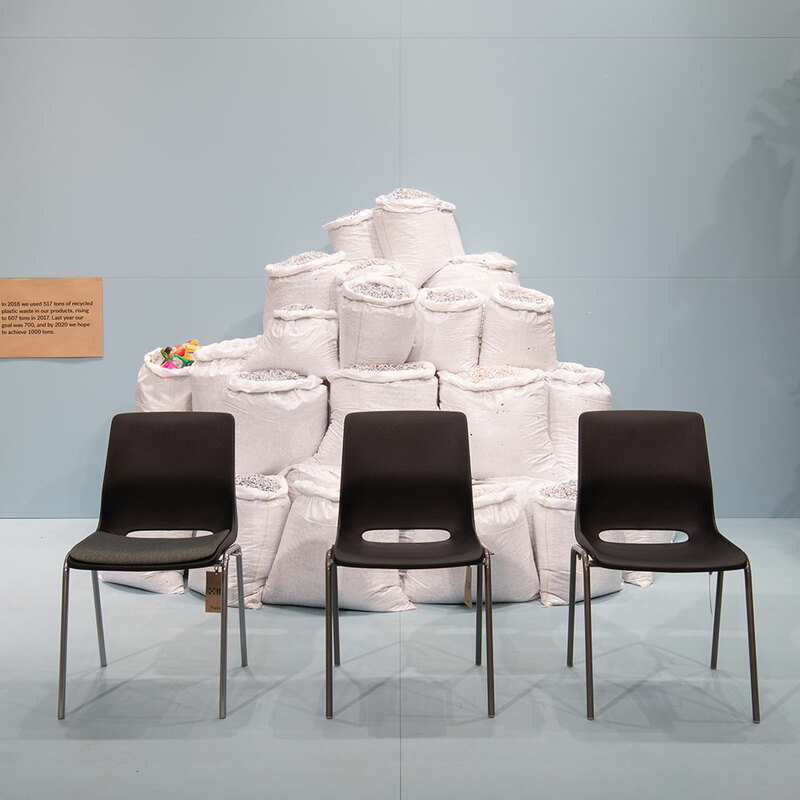 What are these chairs made of? Where do the materials come from? What is the basic DNA of the company? We didn’t set off wanting to create a concept based on the environment and sustainability, but the answers to our questions quickly took us there. 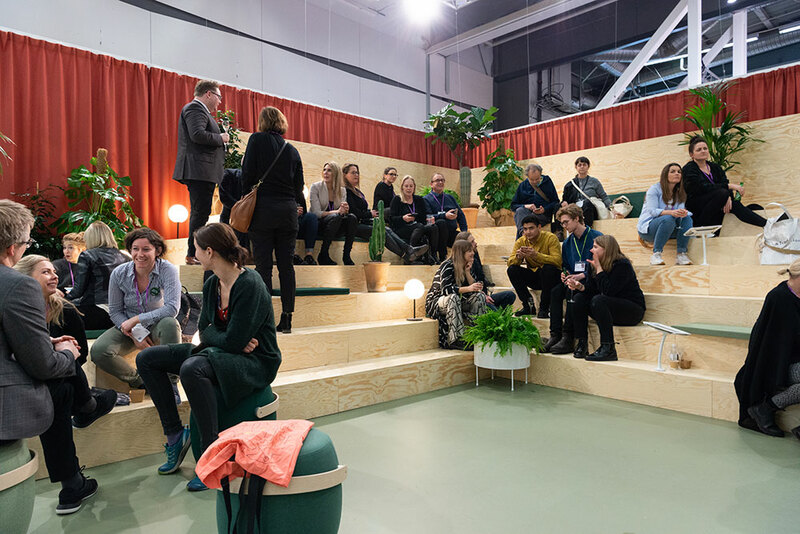 The concept was a great success, drawing interest not only from the design fair attendees, but also the organisers of the event. 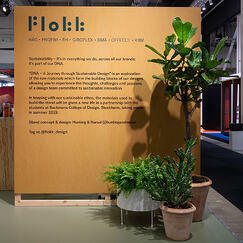 Flokk was one of four nominee’s for the Editors Choice – Stand of the Show Award. What better place to showcase one of our latest designs than Stockholm Furniture Fair? 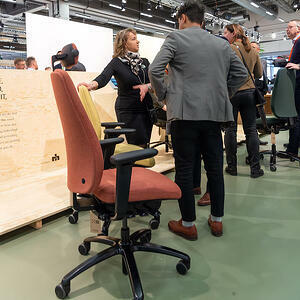 Flokk brand RH provided the first look at the RH New Logic, a complete redesign of their most iconic chair, the RH Logic. 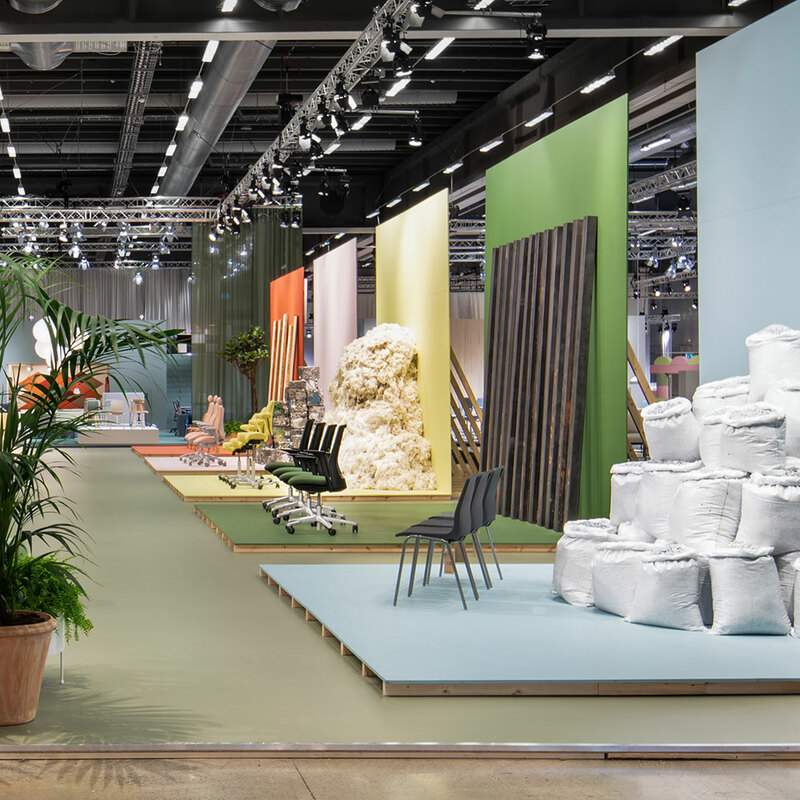 The new RH Logic is the result of a five year long process, where our developers have collaborated closely with designers Jonas Stokke and Øystein Austad. 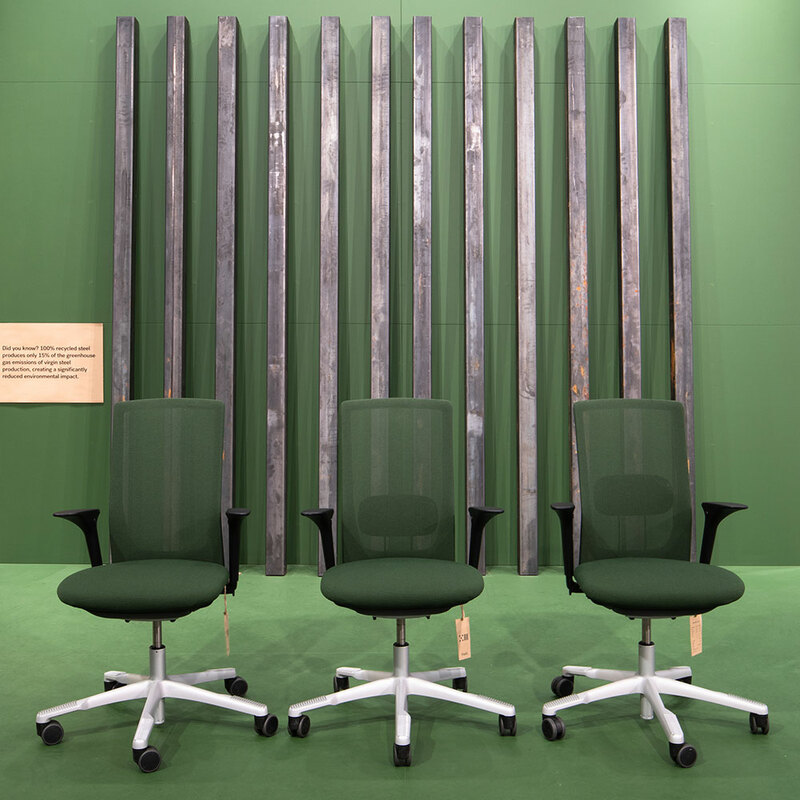 The driving force has been to make the chair accessible and comfortable to use but also to manage and to look at. 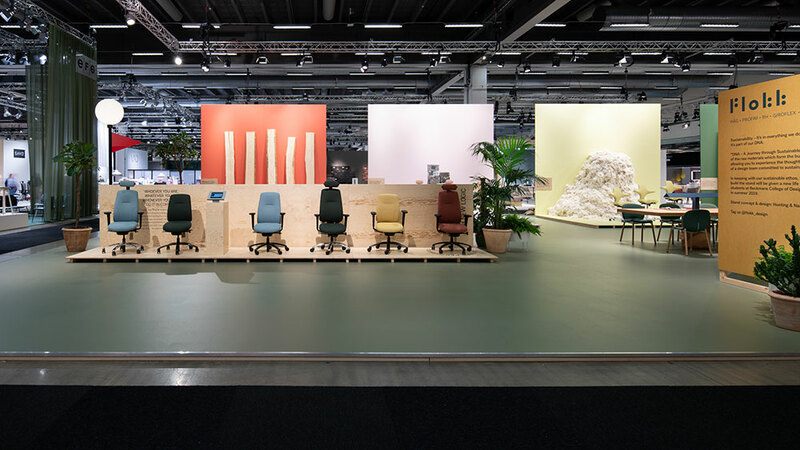 Designer Jonas Stokke said “The driving force behind the design of the RH New Logic has been to make it accessible to all. The working world has changed a lot over the last ten years, so we needed to create a product sure to meet the needs of today. The RH New Logic will launch in the summer later this year. Steel: Did you know? Recycled steel produces 25% of the greenhouse gas emissions of raw steel production, creating a significantly reduced environmental impact. 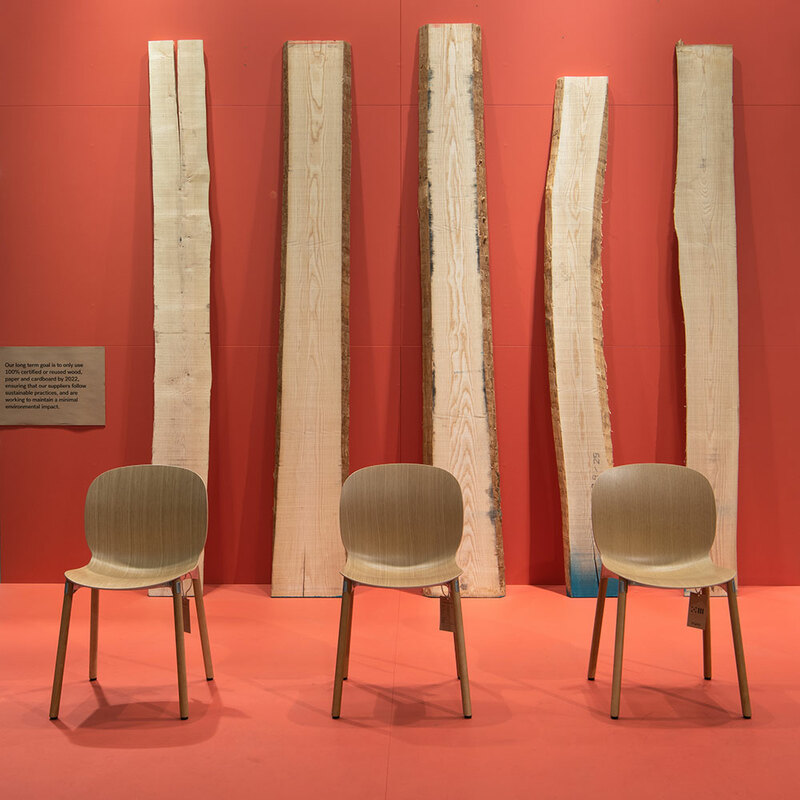 Wood: Our long term goal is to use only 100% certified or reused wood, paper and cardboard by 2022, ensuring a sustainable supply chain. Aluminium: All our aluminium parts contain on average 95% recycled material. Using recycled aluminium in our footbases uses only 10% of the energy required when using raw aluminium. Plastic: In 2016 we used 517 tons of recycled plastic waste in our products, rising to 607 tons in 2017. Last year our goal was 700, and by 2020 we hope to achieve 1000 tons. 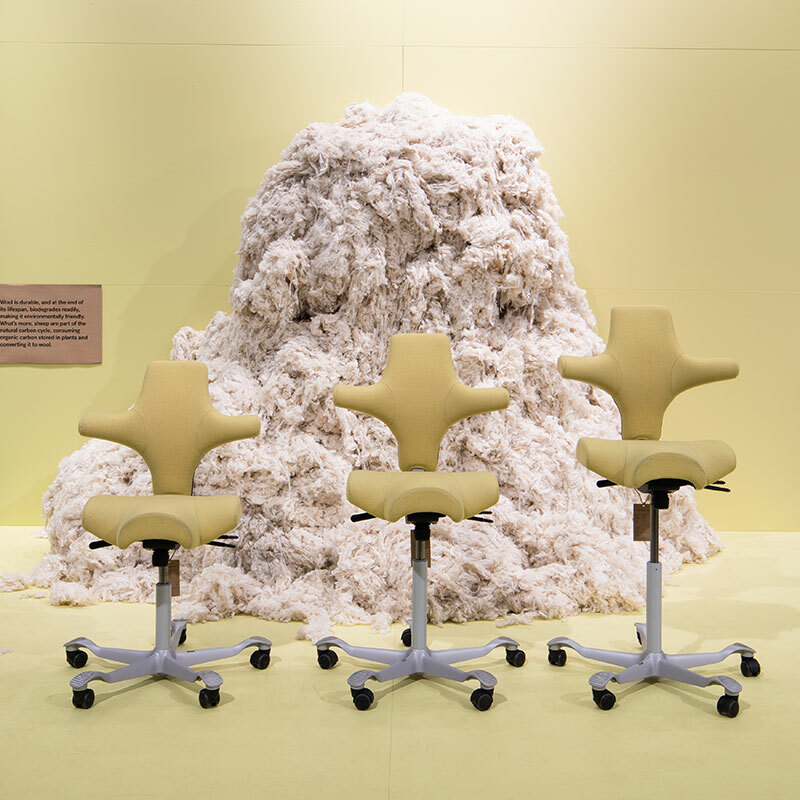 Wool: Wool is durable, and at the end of its lifespan, biodegrades readily, making it environmentally friendly. What's more sheep are part of the natural carbon cycle, consuming organic carbon stored in plants and converting it to wool. 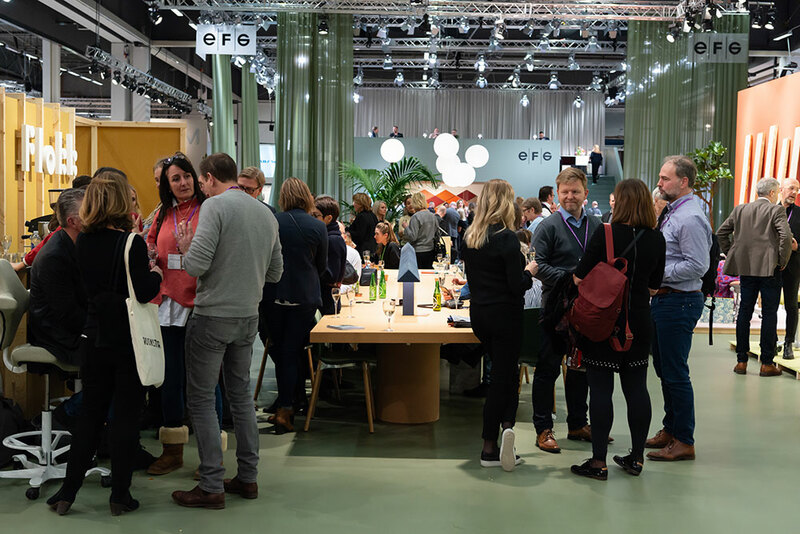 Press – if you would like more information about Flokk at this year’s Stockholm Furniture Fair, click here to download our press pack.